Walking into the Redbury on Hollywood and Vine is like walking into a parallel universe. While the weather outside is bright and beautiful, inside it's moody and soulful. 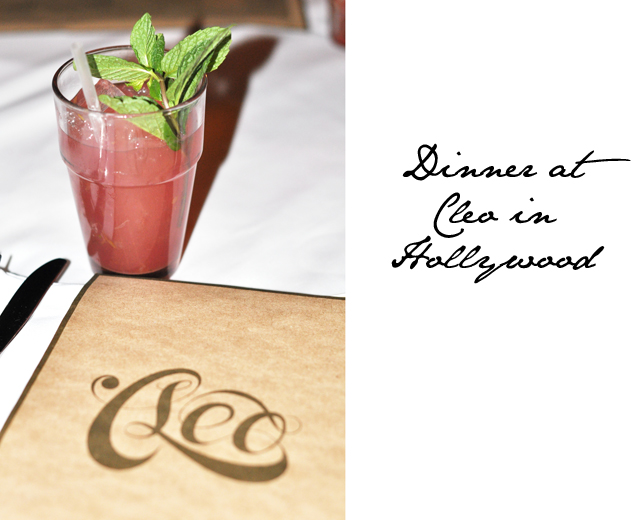 For one night we were in the area to dine at Cleo, the restaurant located on the ground floor of the boutique hotel. Their speciality may be classified as Mediterranean, but we're thinking they should just change their sign to read, "best Brussels Sprouts in Hollywood." Now it must be said that as a child I refused to touch my Brussels Sprouts. If you have told me that twenty years later, while sitting at a restaurant in Hollywood, that I would be ordering a second portion I would have told you you had lost your mind. But this is exactly what happened. 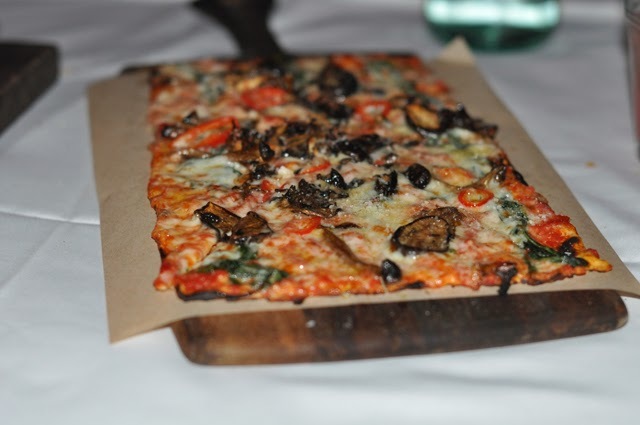 A group of us ate underneath the stairs, which lead up to the Library bar, in the private dining area of Cleo. While we kept out of sight, we did get an eyeful walking in the front door. Now, my celeb hunting isn't what it used to be, but there were more than a few familiar faces waiting to get tables as we were led to our dining area. So onto the food that was served. We started with Cleo cocktails. I ordered the Mediterranean Margarita and then ordered another one fifteen minutes later. Danger zone, people. These cocktails are just too good! 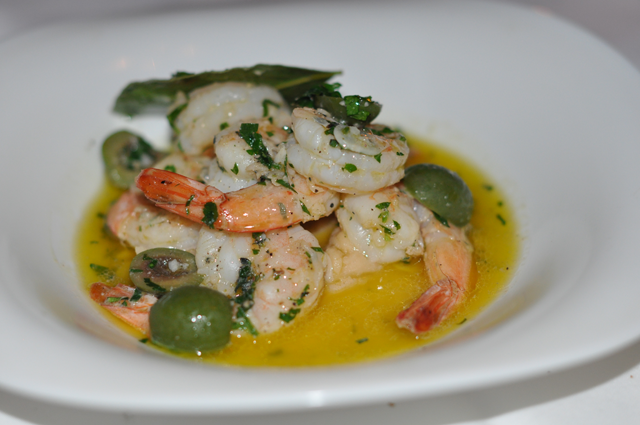 The food was served tapas style and came out perfectly staggered, to allow our tummies time to expand as we filled out plates with scrumptious delights. 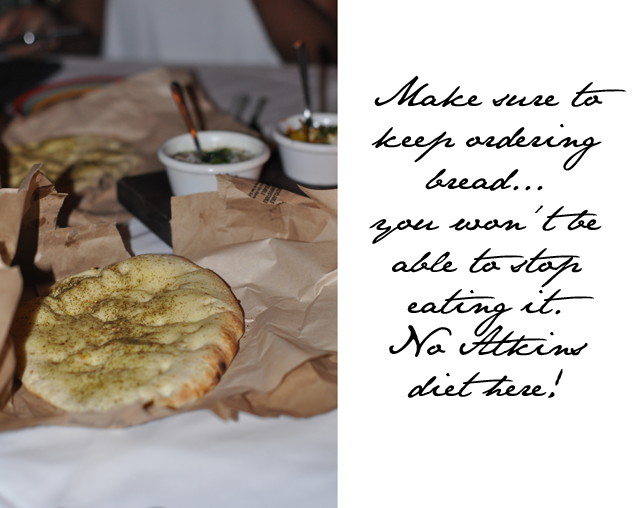 We started with warm bread and dips so delicious we scrapped the bottom of the bowls clean. From there it was onto our individual orders, which we ended up sharing family style, that ranged from chopped salads to lamb sliders. And then, as already mentioned, came the Brussels Sprouts. 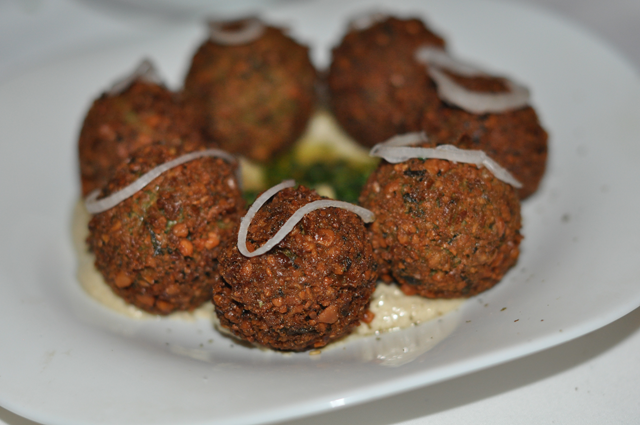 We were told that this was the one dish that everyone raved about each and every time they ate there. These are not your momma's Brussels Sprouts, people. 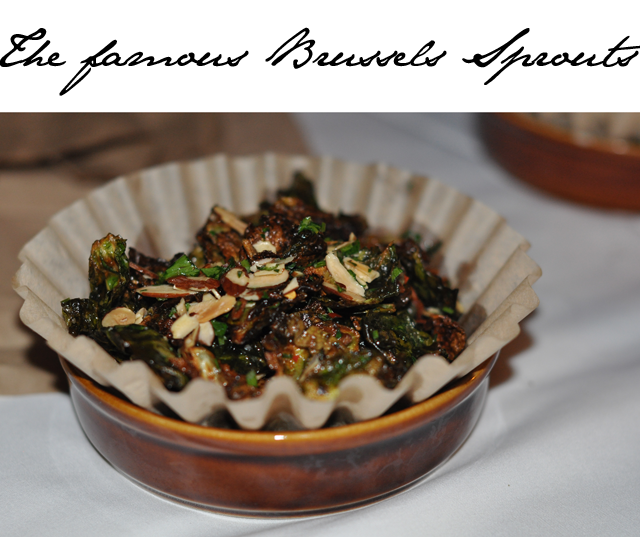 These are crispy sprouts mixed with capers, parsley, almonds and red wine vinaigrette. The end result is a garden party in your mouth. So while Brussels Sprouts are at the height of cool in Los Angeles, Cleo definitely gets the award for the best way to serve. Mom, I'm finally eating my sprouts, aren't you proud?